At Nuffield Health in Haywards Heath you can get rapid access to a range of private spinal treatments in our spotlessly clean hospital. All spinal procedures are performed by our expert surgeons who specialise in complex lower back and neck conditions. Why choose Nuffield Health Haywards Heath Hospital for your spinal treatment? Are you suffering from back aches and pains, a sporting injury, sciatica or long-term spinal condition? 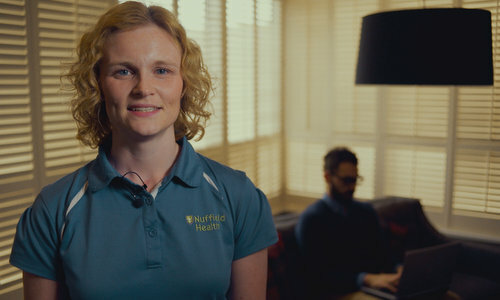 At Nuffield Health Haywards Heath Hospital our expert spinal consultants specialise in a wide range of lower back and neck treatments, guaranteeing rapid access to surgery with a treatment plan personalised to you, helping to get you back to your best. Our hospital has been leading the way in private spinal healthcare in the South East for many years. Our reputation has attracted some of the countries most experienced neurosurgeons who are all experts in their chosen field. All of our spinal experts are fully supported by our attentive matron-led nursing team, who maintain the highest level of primary care practiced throughout the hospital. Please note that other spinal procedures are also available. Please give us a call or fill out a contact form if you are seeking an alternative treatment and require more information. If you are suffering from back or neck pain and want to discuss your treatment options with one of our spinal consultants in Haywards Heath, you will need to book a private consultation via our dedicated Haywards Heath Hospital enquiry team on 01444 847719 or by filling out a contact form above. Many of us can spend 40 hours or more every week working at a computer, whether at the office or at home. The long term effects of sitting for so long can be detrimental to your posture (and your health in general).